New details have surfaced on the upcoming Civilization Online, a massively multiplayer online (MMO) title in development by XLGames and 2K, courtesy of Massively. Unlike past Sid Meier Civ titles, this is not a turn based strategy game where you take control over large land masses and entire populations, but rather one that will put you in the shoes of a single character within 1 of 4 societies. The game is still centered around the ideas and characteristics that made the Civ franchise what it is, but just from a different perspective. At the beginning of the game, player's will align themselves with one of four societies, and will have to conquer the world as it progresses through the ages, just like other Civ titles. 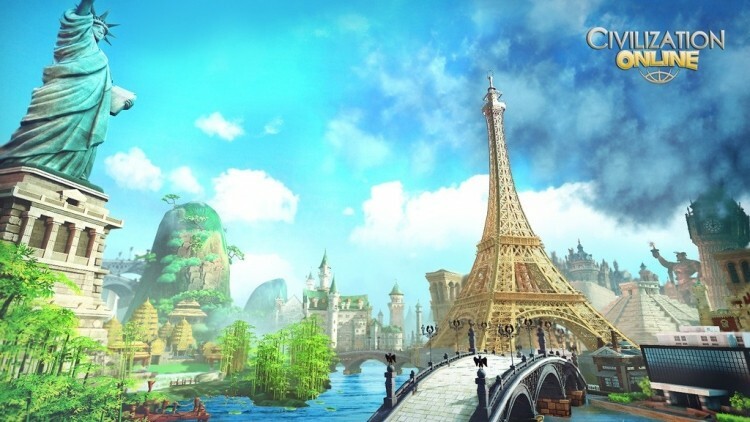 The massively, real-time open world will incorporate a huge environment to explore, as well as crafting, PvP, resource gathering and other elements Sid Meier's world comes along with. There will be traditional combat along with the ability to conduct research, build structures and even access an auction house to pawn off the items you have crafted. Instead of classes, Civilization Online will allow for gamers to choose different careers at will, on a situational basis. You might choose careers that consist of developing new tech, waging war or participating in covert espionage against your enemies. This is an MMO where someone can actually win. Eventually one society will meet certain conditions like winning the space race, and the world will then reset. Sounds good right? Well, not for everyone anyway. Unfortunately today's details come along with some bad news as well. The game will not be launching in North America and instead will be initially launching in South Korea only. Still, while you're waiting for the Cry Engine 3 based game to land, you can check out this weekend's best deals in gaming and the Civilization Online debut trailer below.